Fascinating time for racism in the world right now, with many media pundits rolling around pointing the finger at this and that. In America, morning radio talkback host, ‘Imus’ has been sacked for calling a team of female basketballers, ‘Nappy headed Hoes’ – however the media have turned this into a debate about what Rappers say in the lyrics of their music and what a red necked bigot can get away with on a mainstream media – this has oddly been brought to the boil by footage from the German army training recruits by telling them Afro-Americans are attacking their mums in the Bronx and they have to shoot these Afro-Americans while shouting ‘Mother Fucker’. 1: Why the hell is the German Army training to invade the Bronx? Germany has more chance of invading Mars than it does continental America. 2: I’m afraid America has no leg to stand on when it comes to wagging ones finger at weird European military training quirks, seeing as the US is balls deep in a military disaster with a civilian body count unofficially running at 655 000. 3: There is a massive difference between what Imus has to say and what a rapper has to say – when a white person on a mainstream media channel makes a racial slur towards a brown person – it comes with a massive historical baggage, when a rapper sings a song about hoes and niggers, he is SINGING a SONG about hoes and niggers – it is a completely different thing. Imus was a prat and his firing was a long time coming, the sad fact that he obviously must of had a audience shows how far America has to go in getting anywhere on its race issues (not saying we don't have them, of course we do, but surely we can agree we are no where near the level as the States in blatent racism). Rappers singing what ever is different, should be allowed as it is expression, but we should not kid our selves in that it is harmless. Music is expression that people (especially younger ones) intrepret as part of their identity and I dont think that calling woman hoes is particularly a good thing, it de humanises them. In regards to the N word well thats not up to me to state what is acceptable, that is up to those who have been subjegated to its abusive use to decide how they want to deal with it, and if that is embracing it and supposidly therefore taking away its negative power so be it. Calling women hoes is great... how it dehumanises them, i have no idea. Last night i saw some americans remove a foot and rib cage from a crocodile which had been frequenting bars where it was fed cocktails with gold shavings in it. 'Heros' was far better; something the American people can relate to... gun totin people with powers... and telepathetic moulash. Tonight, time traveller Sam goes back to more interesting times taking viewers with him. Tomorrow we all get Lost and hollywood prison break dancers hunt for lost gold... perhaps they should look in the crocodile's stomach. Funny how things come ful circle, I looked up the origins if the word whore and found it comes from an old germanic word *hōraz with the underlying meaning “one who desires” and the effective meaning “adulterer.” This became whore and african americans truned it into Ho. Maybe the german army is unhapy with them? 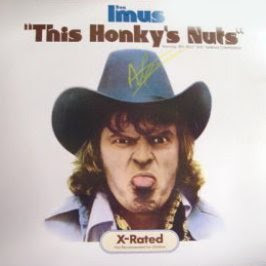 Anyway re Imus I am more concerned about the fact he reffered to the ladies as 'napy headed' Can anyone tell me what that means?